Robert Rivera began studying cello at age seven. He holds a diploma from the Mannes School of Music, a Bachelor of Music degree from the Manhattan School of Music, and a Certificate of Performance from Moscow Conservatory. Robert has played extensively throughout the US and Europe; he has also been an orchestral member of the Boston Philharmonic Orchestra, Brookline Symphony, Longwood Symphony, New Hampshire Philharmonic, Norwood Symphony Orchestra, Rhode Island Symphony, Sharon Community Chamber Orchestra and the Fabric Musik Ensemble of Stuttgart in Germany. 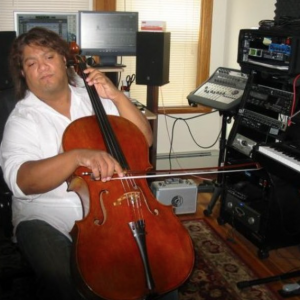 Currently, Robert is a freelance cellist in the Boston and New York areas, working in genres such as classical and jazz. He is also the Music Director at the Langham Boston Hotel, a position he has held for the past eight years. Robert believes that students must have a good classical foundation of the cello, and emphasizes the importance of music theory in all of his lessons. His personal teaching philosophy is to give students cello instruction that can be transmitted to any genre of music, and in such a way that all of his students can create their own compositions as well. He also believes it is important for his students to have fun while learning cello.